What is White Henna? How Do I Make White Henna? White henna?! DIY white henna, here I come! I'm sure you've seen plenty of pictures on Pintrest, Instagram, and Facebook of a lovely body art that is being called white henna. Actually it's not henna at all. This is an important distinction and can cause confusion and disappointment. Not worry; you're about to learn the ins and outs of henna and "white henna" and tell you how to make white henna! Henna (real henna) is a paste made from a plant that stains the top layer of skin. This stain generally has good color 5-10 day but can last 1-3 weeks. Henna can not be washed off. "White henna" is body art done in white that is a topical color and wears away in 1-5 days, depending on the product used to create it. It contains no actual henna at all. People call it white henna because the designs are often henna-like. There are a number of ways to create this lovely white-henna-look! The most straight forward is to use white body paint, such as Temptu, that be purchased at costume stores. Use a fine brush to draw henna designs. This style of design will be a non-shiny matte texture like any body paint and will be flat against the skin. Depending on the type of body paint you use and how you care for the design, this can last 1-5 days. This is an easy-to-make paste that you put into henna cones and apply it in the same way as henna. To make white-henna-gilding-paste, you'll need very hard hold hair gel such as Got 2 Be Glued Hair Glue. You can use this alone or mix it with a little Elmer's glue. Add white mica powder. Loose eye shadow or crushed up hard eye shadow will work fine if you don't have access to pure mica. You can also add very fine body safe glitter if you'd like. Put it in a henna cone and use the white henna gilding paste in the same way. This style can be flat against the skin or slightly raised. The color can be rather shimmery depending on what micas and glitters you use. Depending on the gel you use and how you care for the design, this can last 1-3 days. This is the stuff! This is what gives you the very best white henna look. Apply Pros-Aide cream or liquid (or a combination of the two) to the skin using a henna cone. Allow it to dry completely. I mean COMPLETELY, then use a soft bristle make up brush and brush the most sparkly white mica powder you can find! If you use the Pros-Aide cream the white henna body art will have a raised look. If you use the Pros Aide liquid (original) the white henna body art will be flat. The liquid is a bit harder to work with, but you can mix a bit of the cream into it to get a product that is easy to use and still dries flat. Flat white henna art will last longer than raiser white henna art. Depending on the Pros-Aide glue you use and how you care for the design, this can last 3-6 days. There you have it! Now you can create your own white henna body art in three different ways! Remember it's not actually henna and is a surface application. White henna body art will not actually stain the skin like real henna. 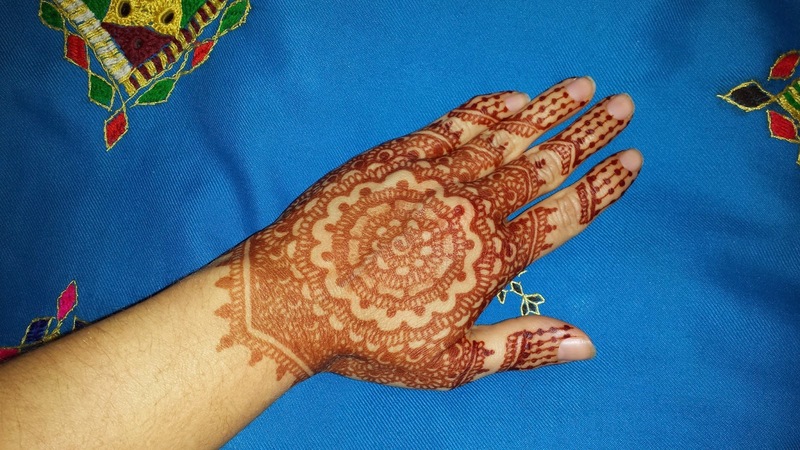 If you want to learn about real henna check out The Henna Learning Center. Have fun and send pictures of your work! Fake Spiral Gauge Earrings are 'da Bomb! Get the awesome look of taper earrings withOUT gauging your ears! 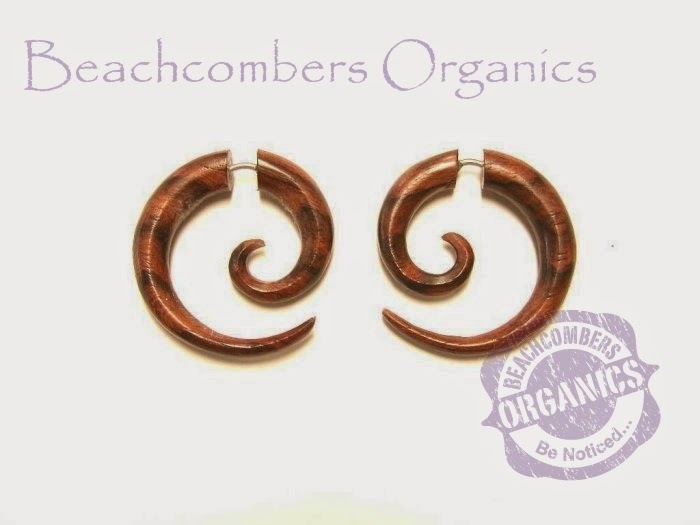 Check out these amazing fake spiral gauges from Beachcombers! These are massive 3" spiral fake gauges for normally pierced ears. The fab earrings in this picture are made of wood. 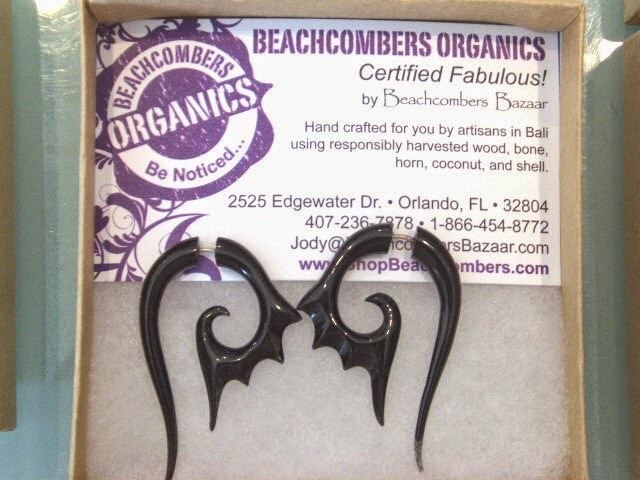 Fake gauges are made as actual gauges then they are cut and a regular earring post is added. 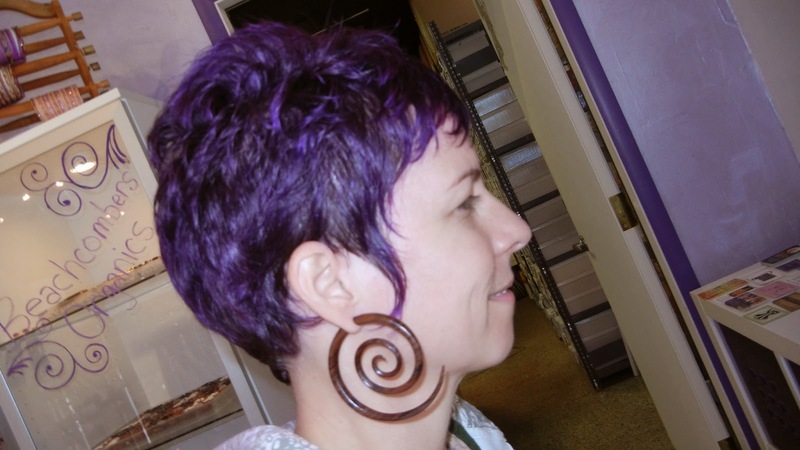 Spiral faux gauges are available in all different sizes from tiny 1" spirals to extra large 3" spirals. Most sizes are available in wood, horn, and bone. The spiral bone earrings look great with black hair, but you can't really do wrong with any of the materials. Learn how to make henna paste with ease. Only a few simple ingredients are needed. If you want good henna color, don't use henna powder from a dusty old grocery store. 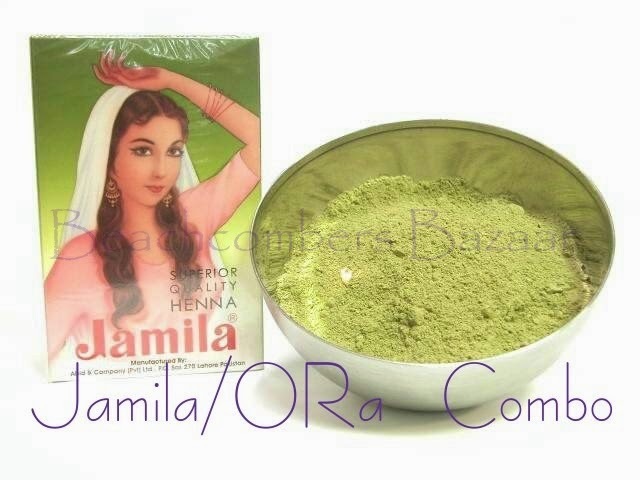 Use a high quality powder that has been stored properly such as ORa henna or Jamila henna. Mix henna powder and lemon juice or water to the consistency of thick mashed potatoes. Mixing henna with lemon juice leads to stable easy-to-use henna. If you make henna with water, the henna will lose it's dying capacity quicker, so lemon juice is preferred. Add equal amounts of lavender and tea tree oil. If you'd like you can also add a touch of sugar (1/2 teaspoon-1 tablespoon). Sugar will make the henna paste stickier and take a bit longer to dry. This can lead to darker henna stains because it makes it easier to keep the henna paste on the skin on longer. Set henna aside to await dye release. Dye release can be tricky. Different hennas release dye at different times, lemon juice has a longer dye release time than water, and colder temperatures lead to longer dye release times. Most henna will achieve dye release in 6-24 hours, but it can be as early as 4 hours or as long as 3 days in unusual circumstances. Check for dye release by placing a dot of henna on the palm of the hand. Leave the henna on for 5 minutes, then scrape it off. You should see a fairly bright orange stain on the skin. Once dye release has occurred tweak the consistency to your personal tastes. The henna paste has to be thin enough to work with, but not so thin that it's melty. Generally a texture somewhere between toothpaste and thick yogurt or even thick cake batter works well. The henna is now ready to use! Strain the henna if you'd like and place it in individual cones. Freeze whatever henna you are not using. See? Making henna is easy! Complete printable instructions are here at The Henna Learning Center. Henna is actually not ink at all! Henna is a paste that is made from ground up leaves of the henna plant. This paste releases henna dye that stains the skin a red/brown color. There is no such thing as henna ink that is squeezed form the leaves of the henna plant. Because henna stains the skin, many people confuse henna as in ink. Real henna is not available in liquid form or in a pen form. The henna plant (lawsonia inermis) is a shrub with small flowers. The leaves of the henna plant are dried and ground into talcum fine powder. The finer the powder, the easier the henna is to apply. The fresher the powder the higher the dye content in the henna. Henna powder must be stored properly to maintain it's freshness. It needs to be vacuum packed and stored in a cool dry place. The more pure the powder, the better the henna stain. Some manufactures add chemicals dyes to make their henna appear fresh, even though it is not. This is why where you get your henna from is important. Only buy henna from a supplier that knows henna well and takes care of their product. Want to learn how to mix henna to get dark henna stains? Check out The Henna Learning Center! For high quality henna powder try Beachcombers Bazaar and Henna Studio. Learn Henna as a Business...Go Pro! Are you at the point that you want to turn your henna hobby into a henna business? Great! There is so much to becoming a business that one can't learn it all at once. Don't worry, you don't have to wait until you've learned everything to get started. In fact, the best thing you can do is take the first steps to get started so you can learn and grow! To help, I've created the Henna Go Pro Pack to allow you to take the first big step in your henna journey to becoming a professional henna artist. This group of 3 henna eBooks doesn't bother to go through heavy accounting principles or anything along those lines. Instead it focuses on the foundation of satisfying customers to make your first events and parties go smoothly along with tons of advice to help you avoid common mistakes and stumbling blocks of creating a henna business. They contain 133 beautiful henna designs are specifically high-impact designs that are fairly quick to accomplish, there for perfect for parties and festivals. This eBook is specially designed to support you through your first henna gig, event, or party. Be prepared and professional at your very first henna event. A selection of 40 crowd-pleasing henna designs are priced at $10, $15, and $20 levels. All henna designs can be accomplished by beginning henna artists with a bit of practice. "Festival & Fundraiser Henna eBook"
This eBook is specially designed to be used for events such as fundraisers or festivals, with the beginning henna artist in mind. The henna designs in this design book are quick and easy to create. It's packed full of information to help the henna newbie through their first few events. This eBook is filled with 27 crowd-pleasing henna designs that are perfect for parties and festivals. 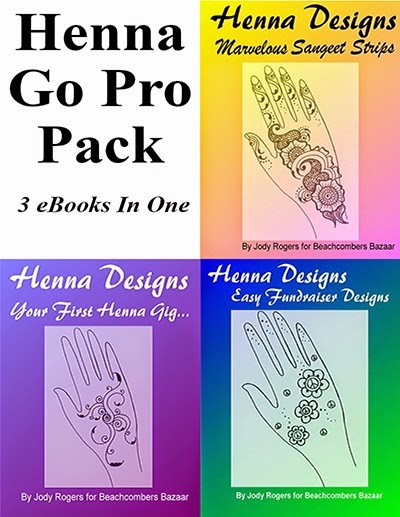 Get all three henna eBooks in one for only 23.97! This is your chance to get started with your henna business!